Sol Cups are Australia’s most health-conscious and beautifully designed re-usable cups. They are made from hand blown glass, chemical free and are an infinitely reusable solution for an on-the-go coffee companion. Sol Cup is for ending waste and embracing taste! A sustainable and ecofriendly cup you can count on. Please note this competition is open from 6 April 2019 until 6 May 2019 and is only available to members of Mouths Of Mums. This competition is a game of skill – answer in 50 words or less. We are unable to accept entries posted via facebook. Facebook LIKE functionality is not a requirement of entry to this competition. The winners of this competition will be published on this page. Winners’ name and address will be provided to the promoter of this competition and prizes will be sent to the address you have in Your Profile. Please ensure your details are up to date so that you receive your prize. We make sure all school lunches are packed in reusable stuff instead of throw away stuff. 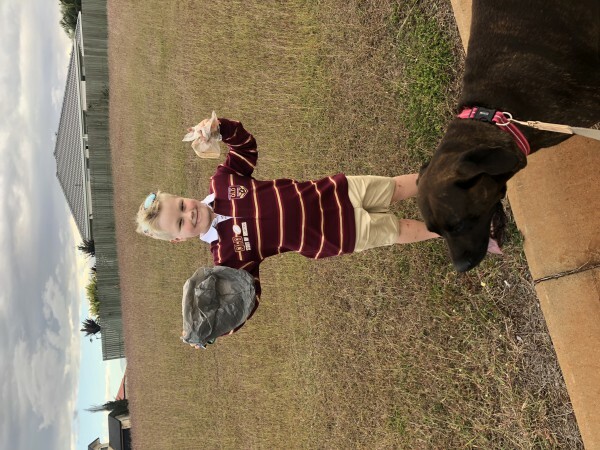 My son loves it and has started picking up rubbish on our walks too. Carry my reusable mesh bag for groceries and bring my own cup to buy coffee. I also bring my own container to buy nuts at the local shop. I haven’t used plastic bags for years, we try and only buy recyclable products! We never buy bottled water, we always take our own from home and we use our own coffee cups! We buy in bulk to cut down on individual packaging. Saves money too! I tried my level best to buy products with involve less plastic wrapping . I made my own warm farm and put all vegetables scrap there .it kills 2 bird with one stone .I get organic fertilizers and helps in reducing waste . Buy product with less or no plastic package . We’ve recycled all the plastics in our house and only use glass bottles and containers now. We don’t buy anything that’s packed using plastic making shopping a little bit tricky but we do our best. Anything else that we can do along the way we will. Just lots of small changes – I ALWAYS take my reusable grocery bags, recycle all plastic I do get into RedCycle, have our reusable stainless steel straws, and bake all our own treats to save packaging. I brought this special lid for the fridge or microwave so I never use glad wrap again. It’s brilliant. And the best thing is plates can stack easily in the fridge on top of it. It’s so versatile. Using paper lunch bags for the little ones,and still trying to remember to take the bags into the shops when I go shopping, I think I buy new bags every time. Then tell us in 50 words or less what makes you the ulitmate #solmate and eco warrior? What is one big change you are making in your everyday life to go plastic free?